About Shenzhen Camel Security Co.,Ltd - Products, News and Contacts. 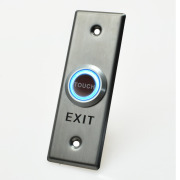 This New Touch Sensor Button is smaller version than older type. It is convenience for using in the hospital and disable people. Touch button with screw type backside, easy to install.